Great messages aren’t the result of momentary inspiration or a rogue creative genius. 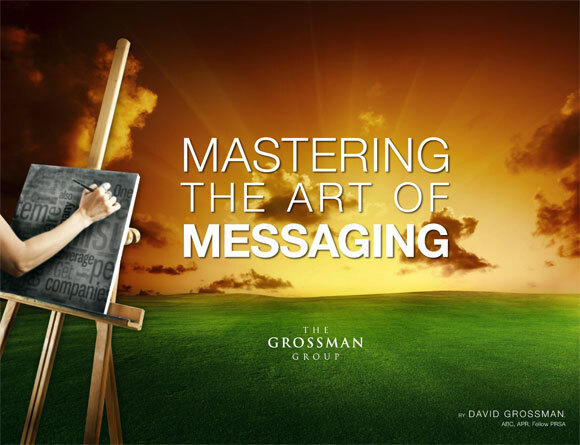 In "Mastering the Art of Messaging," David Grossman shows you how to create a winning strategic messaging plan, building from the basics of a core platform to the details of implementation and delivery. By identifying your audience, developing your message platform, and aligning key leaders and subject matter experts instead of blindly shooting from the hip, you’ll save time, energy and rounds of revisions. The end result? Smarter, higher-impact messages for more successful outcomes.